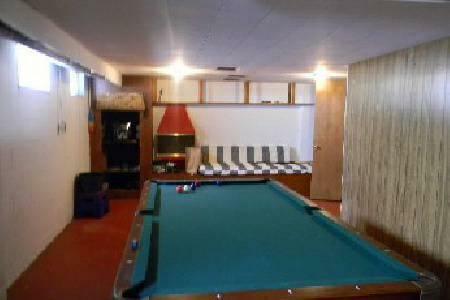 Brunswick Billiards Pool Table Genuine Slate, includes delivery, set up (Chicago Metro Area 1st floor or basement), new cloth any color, deluxe play kit, taxes Complete. Others Available, Call for your viewing! 10 yr old table in very good condition. 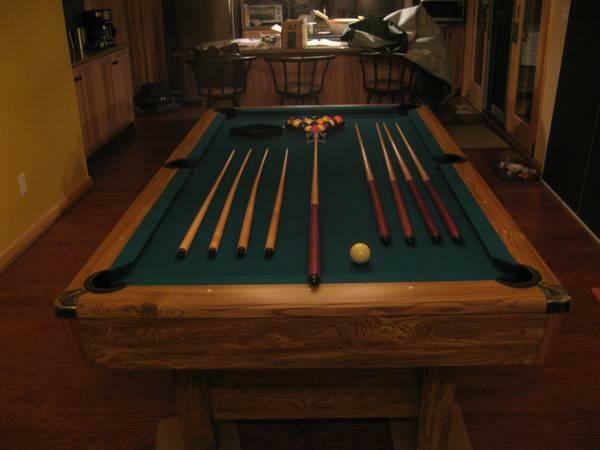 Includes full set of balls, 2 racks, 8 cue sticks, a bridge, stick holders, chalk, heavy duty table cover and ping pong convertor top. 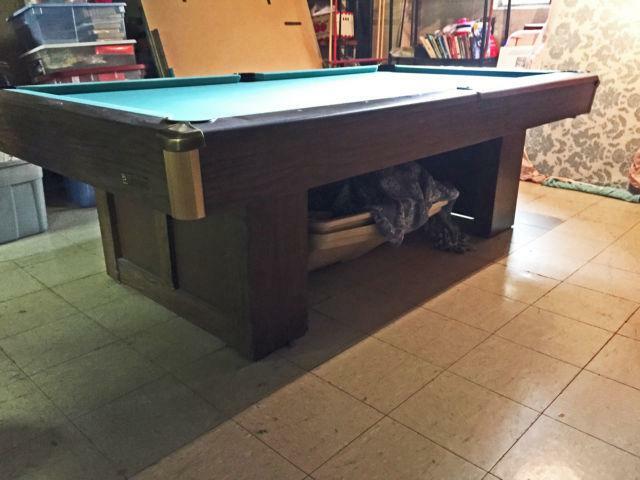 Like new Brunswick Contender Tremont Pool Table with green felt and accessories. 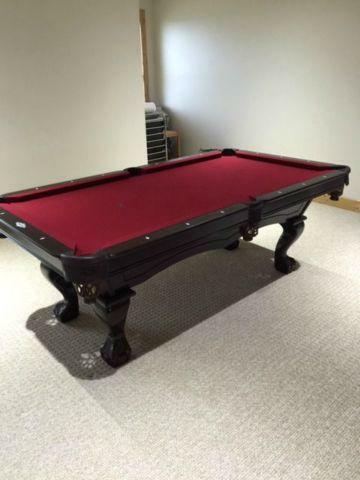 Pool table was purchased new from dealer and has been kept covered in a dry area. 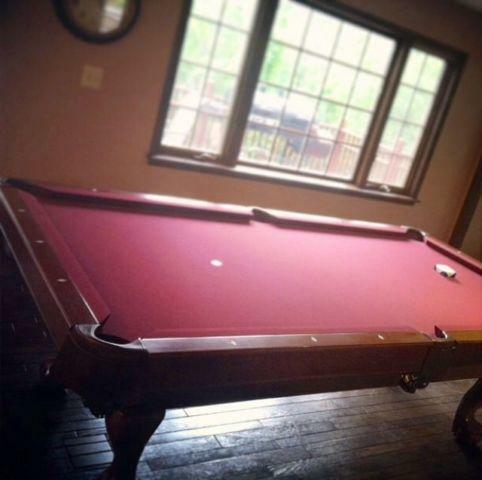 Rarely used this table is in great condition.